Over the past five years, I have watched the way that the media in Kenya has covered public finance stories. In general, coverage of the budget is plagued by the same ills that affect coverage of everything in Kenya (and indeed in many parts of the world): a proclivity for he-said-she said stories; a casual attitude toward facts, especially when it comes to numbers; and a tendency to remain on the surface of most stories. While this situation is not new, the stakes are higher than they have been in the past. The 2010 constitution specifically envisions the public playing a larger role in how Kenya is governed and how public finances are managed. An informed and active media, one that is driven by facts and is able to contextualize public finance information, is crucial if the public is to be able to play this role effectively. There is no way for each of us to be an expert on every policy area that affects our lives; we heavily depend on accurate summaries and analyses of these issues from intelligent and reliable media sources. Changing the media culture around how budgets are covered starts with accountability. As it stands, one only sees apologia in the media when a political actor has been offended by a story. There is no sense of responsibility for getting figures correct. When media houses report fallacious stories about national or county budgets, there is usually no one who even realizes the stories are off the mark. Even in the rare cases where errors are noticed, the media houses do not feel that it is necessary to issue a correction. Accountability can only come from people and organizations consistently monitoring what the media reports and pointing out when stories fall short of the facts. That is part of what fact-checkers around the world do. 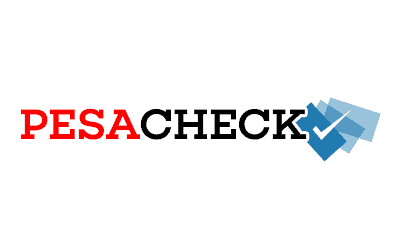 It was with this in mind that Code for Kenya and IBP Kenya teamed up to create PesaCheck, Kenya’s first fact-checking service for local media sources. The service will examine public finance stories and produce and publish weekly fact-checking reports and catchy data visualizations to shine a bright light on areas where the media could do better. While fact checking may sound straightforward, improving how the media reports on public finance is not just about spotting factual errors (though these are often made). Failing to put facts into the proper context can also create misleading impressions. The experts involved in PesaCheck will also conduct “context checking” to ensure facts and figures are presented in ways that help people understand the issues at stake. Where the facts or the context do not point to a single “right” answer, Pesacheck will endeavor to illuminate the possibilities and demonstrate how this goes beyond what the media has shown us. By providing both accountability and models for covering budget issues effectively, PesaCheck ultimately aims to help the media do what it does best – tell stories. We believe that PesaCheck will make a small contribution to improving media accountability in Kenya, and that this in turn could lead to changes in media culture. If we succeed, the benefits will accrue not just to the sections of the media that report on public finances but also to Kenya’s news media as a whole. Wish us well!